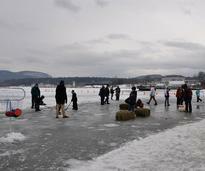 Lake George is a popular destination for Valentine's Day and this year is no exception! The Southern Adirondack region offers romance, breathtaking natural beauty, and plenty of winter activities to experience together. Sip cocktails at an ice bar, snuggle by a roaring fire, or head out for some skiing, skating, snowshoeing or snowmobiling. Plan your Valentine's Day escape to Lake George with your significant other today! This holiday is the perfect time to vacation with your sweetheart. 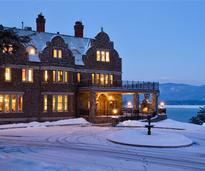 Plan a special Valentine's Day escape in the Adirondacks or on the shores of Lake George. Are you interested in planning a romantic getaway for Valentine's Day? 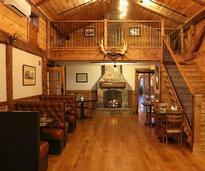 In Lake George and beyond, here are some awesome romance packages you should check out. 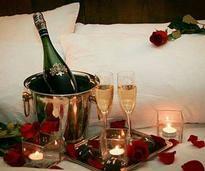 Spoil your significant other with the money you’ll save on accommodations. 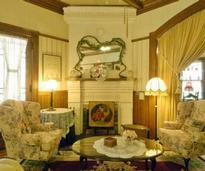 Browse these current Lake George area lodging deals and book your stay. 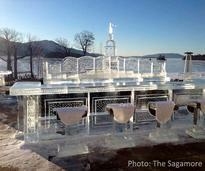 There are many great restaurants in the Lake George area that are open all year. Find one that you think would be a great setting for your Valentine's Day dinner. Nothing is more romantic than dinner by the fire. 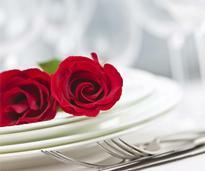 Make your reservation at one of these Lake George area restaurants for Valentine's Day. Lake George is full of great places to share a romantic Valentine's Day kiss. Take a look at some of the best local sites, and prepare for romance in Lake George. It is not uncommon to get snowed in during some of the worst winters in the North Country. Here are some of the best places in Lake George to be "trapped" with your sweetheart. 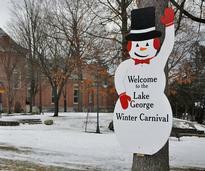 Every weekend in February, head to the Lake George Winter Carnival in Lake George Village for tons of family-friendly entertainment, including fireworks and games. Who says everyone can't enjoy Valentine's Day? We've made a list of ways to celebrate this day in & around Lake George regardless of your relationship status. 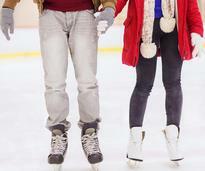 During your romantic getaway to Lake George, why not try some winter activities? 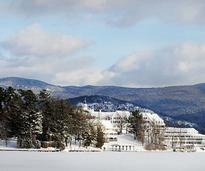 Check out our Lake George Winter Guide and get inspired! 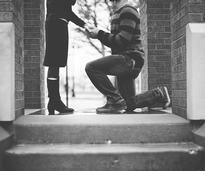 Planning a proposal in Lake George for Valentine's Day? Choose from these unique spots and local favorites for a proposal you'll both remember forever! 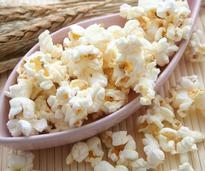 Rather than go out to eat, plan on making a homemade meal. 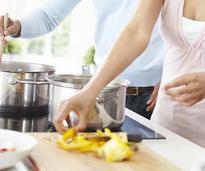 Here are three simple recipes to help you create the perfect three course meal at your place! Make a bowl of popcorn, snuggle on the couch, and then watch one of these great romantic movies that are perfect for a Valentine's Day movie night.